Cats may rule on the internet, but when it comes to cancer information, research and resources, dogs are ahead of the pack. 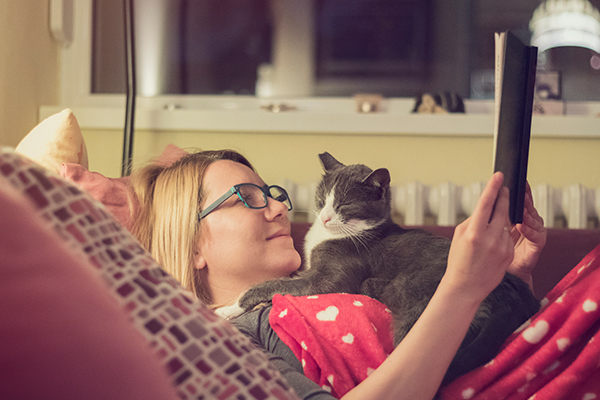 Even though cats outnumber dogs in U.S. households, and roughly 6 million are diagnosed with cancer each year, cat companions find critical information and support for feline cancer lacking. Thanks to some human and feline heroes, this is starting to change. Coffee with his vet, Dr.Gregory Ogilvie from California Veterinary Specialists. Photography courtesy California Veterinary Specialists. Speaking of cats and the internet, Coffee (@white_coffee_cat), the little brother of Instagram’s most famous cat, Nala, is a cat cancer hero to his 1.6 million Instagram followers. His parents, Pookie and Shannon, decided to be open with his fans about his battle with cancer in order to raise awareness of early detection and intervention. Pookie and Shannon debated sharing Coffee’s struggle with his fans and concluded it would be a betrayal not to because “Coffee belongs to everyone, he just lives with us.” In sharing his story, they found comfort in the support, reading every single comment posted on his account and every piece of mail they received. Coffee has officially been in remission since August of 2016. He is a poster cat for fighting cancer and inspiring pet parents to be proactive about early detection and intervention. Brodie Fund creator Sally Williams with the cat who inspired her. Photography courtesy Victor Bubadias Photography. “We give grants to the underdog — no pun intended!” says Sally, as The Brodie Fund provides financial assistance regardless of prognosis. Sadly, Brodie lost his battle with cancer in the fall of 2016, but treatment provided him with a good quality of life for 13 months he wouldn’t have had otherwise. Brodie’s bravery and memory live on through his namesake fund. “When we give a grant, we give the gift of time,” Sally says. Dr. Alycen Lundberg with her first clinical cat patient, Smokey. Photography courtesy University of Illinois. The lack of feline cancer research makes for fertile research territory. 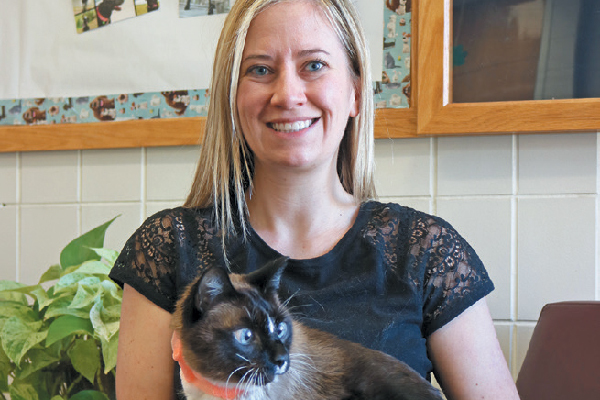 “In cat cancer research there are so many unanswered questions … from a research standpoint, this is exciting,” says Alycen Lundberg, DVM, who is currently pursuing a PhD focused on feline oral cancer at the University of Illinois Veterinary Teaching Hospital. Five years ago, her mentor, Dr. Tim Fan, introduced her to chemist Professor Paul Hergenrother, who had developed a new compound called IB-DNQ. 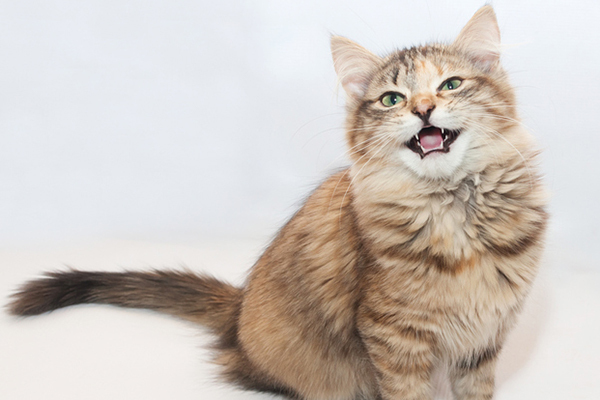 Working together, they identified its potential in treating feline oral cancer. Dr. Lundberg believed it was important to pursue this, given how devastating this tumor type can be and the lack of effective treatments. 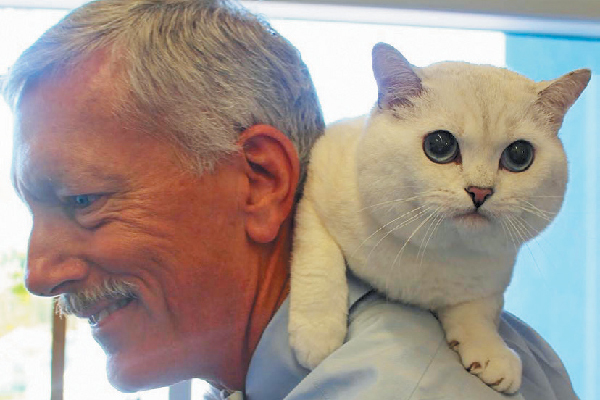 Five years later, research has identified other cat tumors that may benefit from this compound and led to an understanding of how it can be translated for the treatment of head and neck carcinomas in humans. Her research and relationships with kitty patients further strengthens her commitment to feline cancer research. “I want to do better for these cats, because they deserve it,” she says. 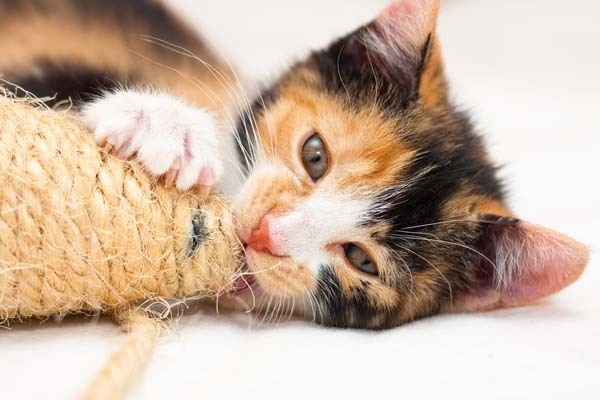 So what can you do to help fight feline cancer? Be in tune with your cat’s physiology and behavior so you’re able to detect changes that might be signs of cancer in cats. Take your cat to annual wellness exams, and be sure your vet checks her mouth thoroughly. Educate yourself on the common signs of cancer – read about it here or ask your vet. If your cat is diagnosed with cancer, have a support system. You can always find one online (for example, @loveteambrodie on Facebook). Donate to organizations like thebrodiefund.org that provide grants to animals who wouldn’t otherwise get treatment. 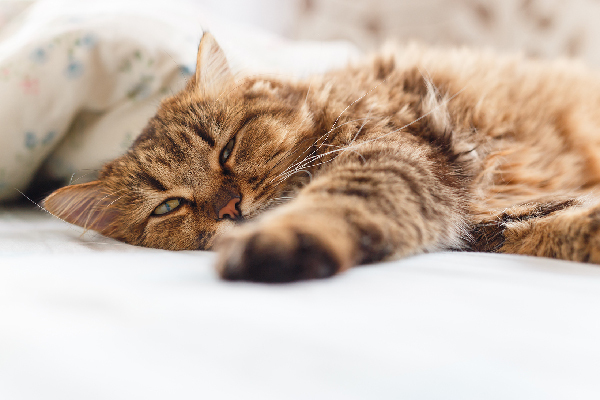 Tell us: Has your cat experience feline cancer? What are your tips for fighting cancer in cats? This piece was originally published on April 11, 2018. Thumbnail: Photography @Gumpanat | Getty Images. Tamar Arslanian resides in New York City with her two rescue cats, Kip and Haddie. 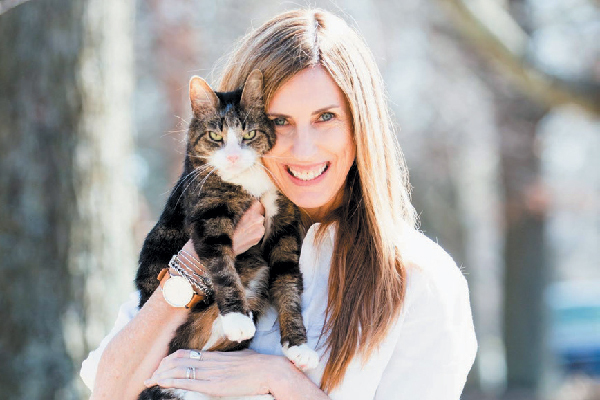 She is the founder of IHaveCat.com and author of HarperCollin’s Shop Cats of New York, a Cat Writers’ Association Muse Medallion winner. Find her on Instagram and Facebook at @ihavecat and @shopcatsofnewyork. I just dealt with lymphoma last year in my 2 boys that were litter mates. One in Feb. and the other one in May. The first one had lost over 1/3 of his body weight and had extreme muscle wasting. I got him checked out, diagnosed, took him home for 1 1/2 weeks. Got him hydrated, back to eating and talking to me, but I believe he was painful because he never approached me to sit on my lap again, even though he acted like he wanted to. I could see in his eyes he was not my same boy anymore so decided to help him leave peacefully. They would have been 15 in October and I had them since 3 weeks of age. I’m so sorry to hear this. I too have had personal experiences with Feline cancer – lost my 10 year old Petie to it. Sending hugs. My 16-yr old kitty was just diagnosed with kidney lymphoma. My first sign of something concerning was weight loss. He weighs 6.4 lbs, normally weighs 11. I know from research online, there’s no cure but it can treatable, with life extension between months to 4 years. And that dogs and cats don’t have the side effects with chemo as humans do. CBC count must be monitored before and during treatment doing. My kitty had one treatment, but the red blood count was too low the next week, so we’re taking a week off. 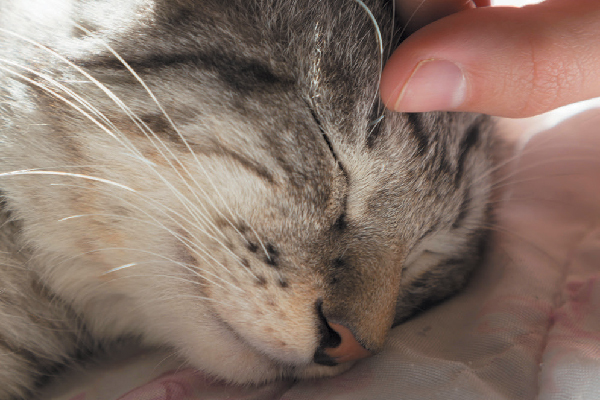 It is frustrating that feline cancer isn’t curable with Pred. As it can be with dogs. 16 sounds old, but my kitties (all rescues – 8 presently) live well into their 20s. I have one that’ll be 20 in Nov., you’d only know because she walks slow. I have a 16 year old so I can relate, and I lost my 10 year old to cancer a few years ago. Thinking of you and hoping he/she is still doing ok.